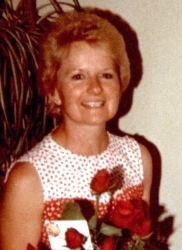 Martha (Marti) Louise Jillson, 75 Passed away peacefully in her sleep from natural causes at home surrounded by her loved ones. July 24th, 2018 she joined her husband David Harold Jillson in heaven on their 49th wedding Anniversary. And many close beautiful friends she considered family. 26515 Ustick Rd, Wilder, ID 83676 on Aug 4th, 2018 at 11:00 AM followed by a Potluck and Memory Sharing. Please call: Romey@ (208)608-6459 for more information on the Potluck.